By 2030, experts claim that the majority of us will be working from home. Yes, the future of the workplace is at your kitchen table (or if you’re really lucky, the cool shed you have converted into a home office. The dream, right?). But as the traditional office, with its increasing overheads and uninspiring spaces, continues to fall out of favour, what’s the secret to making home-working work for you, without falling foul to temptations like raiding the fridge or rearranging your sock drawer, just because you can? As a new study reveals that over half of UK employees think they are more productive working from home, let’s take a moment for the procrastinators and the easily distracted out there. 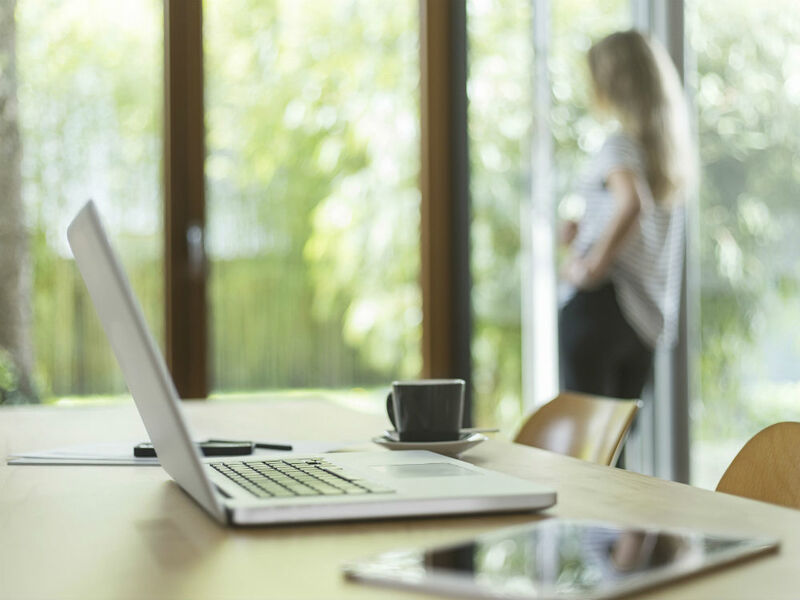 We asked Jason Downes, MD at Powwownow, the company behind the Smarter Working Initiative for his advice on how to make working from home work for all of us. It is important that you know exactly what you need to achieve each day and when you need to do it by. Before you get started, write a to-do list and make sure you stick to it. This will help create a structure for your day and establish an end goal. If needed, this can also be agreed with your line manager or client in advance so that everyone is clear on your objectives. Get up at a set time, take a shower and get dressed, just as if you were leaving the house to go to the office. It’s a good way to remind yourself that you are still working even though you are at home and to stop you from feeling lethargic and unfocused. You can easily get distracted by the things around you, so create a working space for yourself with a minimal amount of clutter, as this can help you get in the right mind set. It is also important to sit at a desk or proper table so that you are not slouched on a sofa all day. Having your own space will help you stay focused and organised and also let anyone else who may be at home that you are working. Discover & Share this Computer GIF with everyone you know. GIPHY is how you search, share, discover, and create GIFs. It’s important that the confines of an office, is not replaced by the confines of your home. Changing location and working from a library or coffee shop can help stimulate the creative juices. If a nice day, some of my staff work from a park, which they find hugely beneficial. The whole point of flexible working is that you can work in a way that suits you and facilitates you getting your work done to the best of your ability but also giving you time for the other important things in your life. The changes in technology means that we now have the ability to communicate and work effectively from home. I like knowing that I can get in touch with my staff whenever I need them and I trust them to get on with the task at hand when working from outside the office. The use of quick conference calls can be frequently used to catch up with remote staff to prevent people feeling isolated and helps set the agenda for the day. It’s important to give yourself a moment to relax, refresh your mind and give you the time to enjoy the benefits of working from home. Working from home should not turn into a bigger task than it has to be. Make a nice lunch or go for a walk as you would when popping out to get lunch from the office, don’t just sit by the computer all day. While having your morning catch-up ensure you are clear about your targets and deadlines throughout the day. This helps to establish structure in your day, can act as a huge motivator and makes sure that you and your manager both understand what outcomes to expect– this avoids any miscommunication, crossed wires or finger pointing come the end of the day. Working from home should not become a burden. When it’s time to finish work and you have done all the things you need to do, then you should stop working. It’s important to know when to finish for the day and maintain a good work-life balance. Just make sure you have achieved the goals that you set out to achieve.